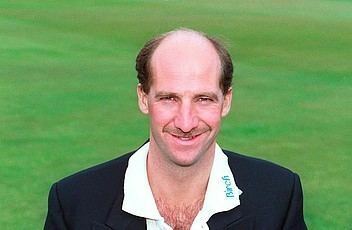 Kim John Barnett (born 17 July 1960) is a former English cricketer. Barnett was a batsman who played internationally for England between 1988 and 1989. 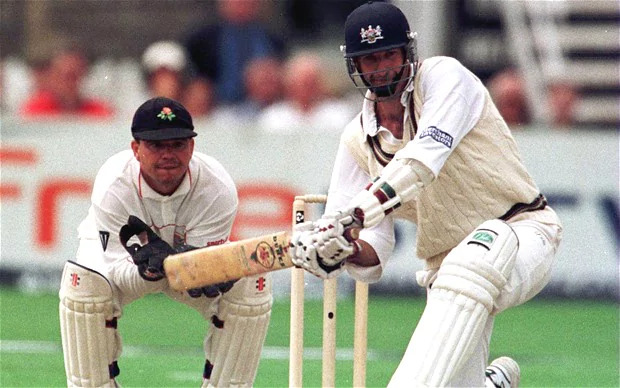 He was primarily a batsman, but could also deploy effective leg spin, and topped the English first-class bowling averages in 1994 with 13.30, albeit with only thirteen wickets to his name. Barnett was named one of the five Wisden Cricketers of the Year in 1989. He mainly played for Derbyshire, from 1979 to 1998 and Gloucestershire from 1999 to 2002. He also played for South African teams Boland and Impalas. Barnett played the bulk of his county cricket for Derbyshire, and was captain between 1983 and 1995. 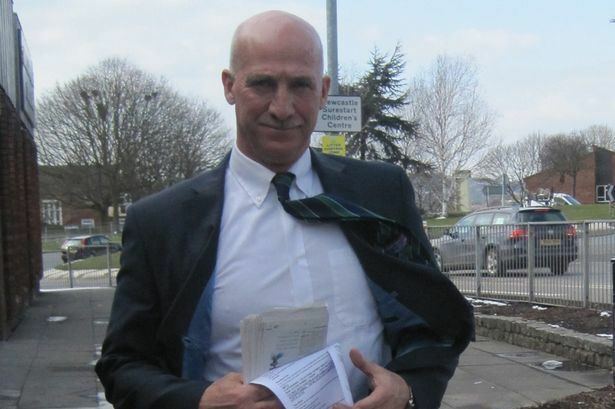 He remained at the club for several more years, until clashes with players and the county's committee resulted in his leaving for Gloucestershire in 1999. He was disappointed not to be offered a renewal of his contract after the 2002 season, and retired from first-class cricket, although he continued to play in regional league competitions. Barnett in 479 matches, scored 28,593 first-class runs at an average of 40.38, with 61 centuries and a top score of 239 not out, made against Leicestershire. He passed 1000 runs in a season 16 times, including eleven consecutive seasons between 1983 and 1993. Barnett played only four Test matches for England, partly as a result of bad fortune and partly of his own choice. He was selected for the 1988/89 tour to India, which was cancelled, and then accepted a place on the Mike Gatting led rebel tour of South Africa in 1989/90, and was immediately banned from Test cricket for three years. 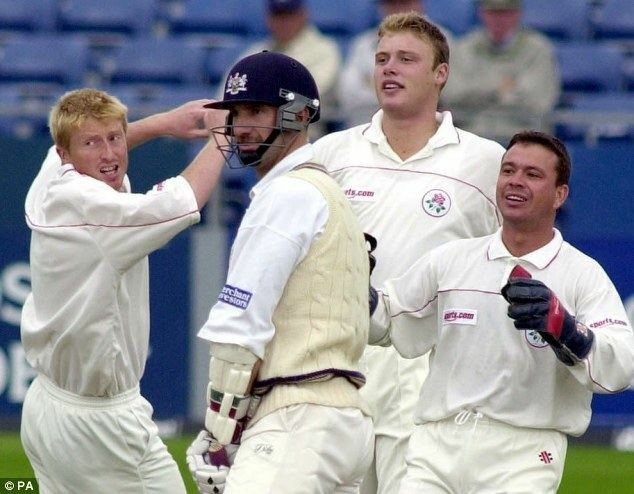 winning a "double double" in 1999 and 2000 (both the Benson and Hedges Cup and the C&G Trophy, in both seasons), while also pocketing the Sunday League in 2000 ... Key to all this was veteran opener Kim Barnett, who Bracewell described as "like Duckworth-Lewis before it was invented". It was Barnett who would first calculate the par score, then systematically plot the road map to that total. He was coach of the Minor Counties side, Staffordshire, and played for them on occasion. Barnett used to play for Rocester F.C. and Leek Town before football took a back seat for cricket.